In the mid-1970’s, my parents suffered through the Killing Fields in Cambodia and endured over four years of forced labor, starvation, captivity and the death of their first born child. Fortunately, the birth of my older sister rekindled their desire to live and made their need to escape more urgent. The young couple decided that they would live or die as a family. They could not endure the loss of another child and looked for any opportunity to escape their captors. When my sister was a month old, a fortuitous attack from Vietnamese invaders provided the perfect cover to mask their flight. My parents, sister, two aunts and an uncle sneaked 60 miles through jungle, mountains and landmines to reach neutral Thailand. They planned to wait until the civil war ended before heading home. When officials from the camp informed them that an American family was willing to sponsor them, they took the opportunity to leave the war torn region. My family arrived in Seattle, Washington in 1979. I was born in 1980. When I was old enough to understand what my parents had gone through to get me here, I was determined to repay the country of our salvation. This commitment strengthened my sense of civic duty and desire to help people. I planned on becoming a police officer to accomplish my goals. I joined the United States Marine Corps in August 1999 with hopes of acquiring the knowledge, skills and abilities to become a competitive police officer; however I got more than I bargained. After the events of Sept. 11, I knew that we were going to combat. In January 2003, I was deployed to Kuwait and prepared to cross the line of departure. The lessons that I learned from the Marine Corps prepared me for life after war. I learned how to deal with loss, depression, anger and regret. My experiences made me resilient toward stress and helped me cope with failure more effectively. The biggest lesson I learned was that I was not able to separate my dangerous profession from my family life. I learned that I could not become a police officer and have a happy home life. I decided to focus on my family instead of following my childhood dream. I used the Montgomery G.I. to earn my bachelor’s degree in 2012 with the intention of becoming a small-business owner. Fate intervened and I become a federal employee once again. I started working for the Veterans Affairs (VA) health care system as a Pathways intern. I quickly learned that my experiences suited the organization perfectly. I was able to empathize with our clients and effectively collaborate with other VA employees to deliver our services. My ability to connect with other veterans mitigated many interpersonal issues before they arose and made communication between patients and staff more meaningful. I found a way to help others while maintaining a healthy family environment. My new mission was clear—to help other Veterans transition back to civilian life. Once I earn my MPA degree next year, I will be converted to a full-time, permanent position with the VA and finally begin my new career. State, local and federal governments provide many benefits for veterans during the recruitment process. The Pathways program offers paid internship positions for currently enrolled students with the promise of a permanent position after graduation. Interns receive training and the opportunity to learn more about their future employer all while getting paid based upon level of education. The Pathways Program is open to most students but Veterans can take advantage of many recruitment entitlements. They can use their military service to add up to 10 points on their application, which makes them more competitive. Disabled or combat veterans can apply under special hiring authorities that will make them eligible for positions that are normally available to the general public. 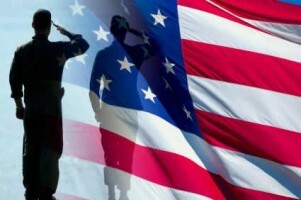 Many private employers also provide special preference for veterans. Tesla Motors and Wal-Mart are aggressively hiring veterans and will consider hiring those applicants first. The typical armed forces service member joins the military at a young age. Many of them do not have the financial skills to make effective credit decisions. Once they transition out, they are suddenly responsible for bills that the military used to cover. This can be a shock to many young military families and the most accessible benefit gets abused. The Post 9-11 G.I. Bill covers a veteran’s full tuition and provides a monthly financial stipend based upon the attending schools ZIP code. The system encourages full-time enrollment because the amount of money is based on enrollment status. In 2014, a veteran attending San Jose State University full-time will receive $2,955 in addition to books, parking and small school supplies. If s/he decides to go halftime, the stipend will be reduced by half. However, the remaining entitlement time will still be deducted at the full-time student level. This system would work if the cost of living in San Jose, CA was not so high. The average rental price of a two bedroom apartment is $2,500 (excluding utilities). Many veterans have spouses or dependents and must work to supplement their income and cover the cost of living. The demands of school, work and family usually favors work. School and work often suffer. Typically, veterans attending community colleges experience this vicious cycle. They end up exhausting their education benefit with only elective credits to show for it. They cannot graduate and must start over like everyone else, often relying on financial aid that must be paid back with interest. I recommend veteran specific counseling services to help plan realistic goal mapping on a case by case basis. Community colleges should have access to federal, state and local grants to address this issue. The Department of Defense can also help by providing transition counseling for their service members at least a year before their enlistment date expires. It may seem counterproductive to assist your service members in leaving the military but the current system is not working and 22 veterans committing suicide every day is unacceptable. The writer did a good job on this article. Transition counseling is an important factor in getting our young veterans on the right path to educational and employment opportunities.